FOR THE NORTHERN DISTRICT OF CALIFORNIA, CHANEL, INC., Plaintiff, v. BO LING and DOES 1-10, Defendants, Case No. CV 10-00551 MMC. 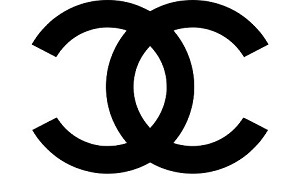 This Matter came before the United State Federal Court in 2010, and judgment was granted in favor of CHANEL. It was further ordered that CHANEL be awarded the amount of $570,650.00 in statutory damages and costs. Also awarded was prejudgment interest from the date the action was served was ordered to accrue at the legal rate. Additionally, the domain name, Replica031.com, was ordered by the Court to immediately be transferred from the former owner to CHANEL. The former replica online store operators were also barred by the Court from future participation in the business of manufacturing, promoting, advertising, importing or selling infringing and counterfeit items bearing CHANEL property, including marks, logos, layouts, advertisements, services, handbags, wallets, watches, and sunglasses. Further, it was ordered by the court that the former owner always be restrained from any course of action which may be calculated to falsely advertise an association with CHANEL on Replica031, or at any other website or business. Any other actions, including re-establishing any business that would circumvent these prohibitions, will also be restrained. 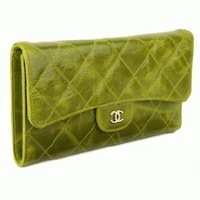 To find out more about Chanel replicas, visit ChanelReplica.com and ReplicaChanel.com. PPreviously Replica031 was an online store selling replica Chanel handbags and watches. To prevent the previous owners of this shopping website from continuing to take further advantage of the public, legal action ensued. As a result of this action, a Federal Court ordered the replica Chanel online shop to be closed permanently and the domain name transferred over to CHANEL's control and ownership. The Court also ordered the previous owners and operators of the Replica031 online outlet to pay CHANEL over $500,000.00 in damages.